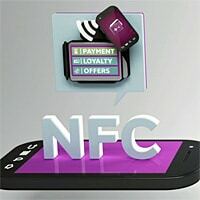 The US NFC payments venture has produced a series of educational videos, designed to show consumers how to use the Isis Mobile Wallet in stores and how to add cards and offers, as it moves towards pilot launches in Austin and Salt Lake City. Isis has released a series of short videos, ahead of the launch of its first NFC pilots in Austin, Texas and Salt Lake City, Utah. The films are designed to help consumers understand how to use Isis and cover how to get started, how to identify whether a merchant accepts Isis payments and offers and how to add a payments card, as well as the process for clipping an Isis offer and redeeming at the point-of-sale. The service is still due to launch “this summer” but no date has yet been set and, Isis has told NFC World, “we’re not sharing any additional information about launch quite yet”. Merchants are set to include Aeropostale, Coca-Cola, Foot Locker, Jamba Juice and Macy’s while card issuers taking part include Chase, Capital One and Barclaycard US.